Our family has always had a deep respect and fondness for Wildwood School. After all, Anne, my step-mom and co-author was the head of its elementary school for four years in the nineties. So, when it was time to apply to schools, Wildwood was at the top of our list. So you may be wondering why we didn’t send our daughter there. I’ll explain. Our Wildwood tour was led by a parent. She was professional, friendly and understated. We toured the classrooms, the most amazing library where we heard a short talk from the impressive librarian and the science lab, which I still remember vividly because it was so fabulous. Everything about the tour was low-key. No over the top statements made by the mom leading the tour, like we found at some schools. The campus was remodeled and is sparking clean and gorgeous. The classrooms are big, bright and inspiring. We were impressed and decided to apply for our daughter. The parent interview was interesting. We were interviewed by an administrator from the middle school, I believe, who was filling in at the last minute for somebody else. She was very nice, but mostly listened to us tell our family’s story. She took extensive notes. It was a good thing this was one of our last interviews, so we knew that when she didn’t really have questions for us, what we needed to do. The parent interview was matter-of-fact, since we were not interviewing someone from the lower school. It wasn’t stressful, but it did seem a bit perfunctory. Still, we felt confident that our family ties to this school would be helpful. The visiting day started early…at about 9:00 a.m. My daughter was getting overly excited as we waited with a few other families. My husband took her for a walk around the campus. A little while later, the head of the lower school came over to welcome families and take the kids for their visiting day activities. The parents waited in a conference room. There was a group of moms from Venice who all seemed to know each other. I don’t know why this always causes me anxiety, but it did. We waited for an hour, possibly a bit more. I was getting a stomach ache. I really wanted to go home. My daughter came bouncing out of the classroom where the visiting day activities took place. “I think she had a good time”, the head of the lower school said to me. With that, we said thank you and went home. Then came the really difficult part. Our daughter was accepted to Wildwood. We felt lucky. We loved the school and its teachers, its campus and the entire program. I was overcome with anxiety, emotion and indecision. It was a choice between The Willows and Wildwood. I knew we would take the weekend and make our decision by Monday. It was an agonizing weekend. I spent hours on the phone with Anne, who would have been thrilled to have her granddaughter attend Wildwood. My husband weighed in, but really left the decision up to me. Back and forth, my thoughts racing. Willows or Wildwood? Willows or Wildwood? The schools are very much alike in a lot of ways, which just made it harder to decide. But, there was one factor that caused us to choose The Willows. In LA, you can’t ignore geography. None of the Wildwood families lived in– or even near– Hancock Park where we live. The school was very honest about this reality. I really wanted a community of parents who lived near me. Wildwood seemed to draw families from from the Westside. The Willows has families from Hancock Park, Miracle Mile and other neighborhoods near us. In the end, this was thedeciding factor. So, who were my daughter’s best friends at The Willows for the first few years at the school? A classmate who lives in Bel-Air and another who lives in Brentwood. Not exactly close to Hancock Park! The classmate who lives on our street, one block away? She and my daughter aren’t even friends. Go figure. The geography question is one that is definitely on my mind these days. 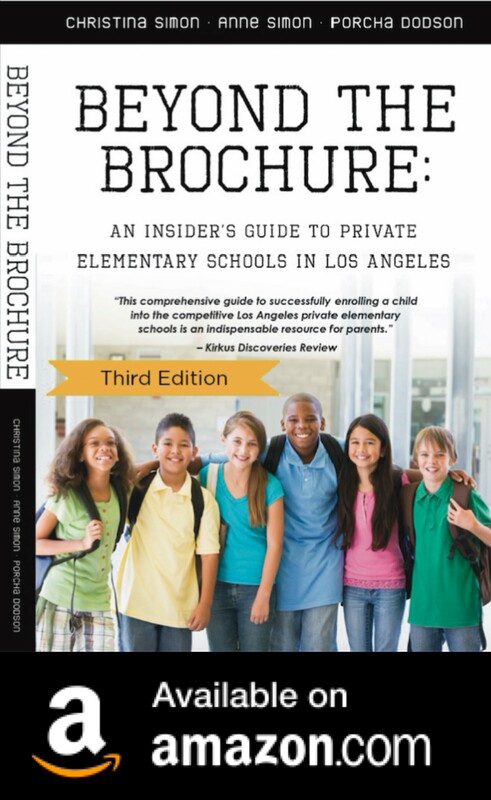 So many friends are moving to be closer to private schools they like or to be in better public school districts. In LA the long drive time is just another part of the puzzle that makes up the craziness that is school applications! As a Wildwood parent of two students who attended from 6th -12th (my youngest is currently a senior) I'd say that every time we go to Wildwood we come away feeling so lucky and happy that our sons attended this school. The program is incredible both academically and developmentally all the way up to 12th grade. Check it out. Guest Blogger Jenny: How Does A Private Elementary School Handle Bullies?